Two men and three women were assisted to shore after their 42-foot motor yacht, “Tiara My Sue,” ran aground on Lāna‘i’s east shore on Saturday afternoon. 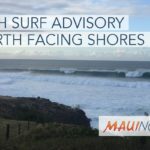 Around 3:10 p.m., on Saturday, Oct. 21, Lāna‘i firefighters received a call from the US Coast Guard requesting assistance with a vessel that grounded on the reef about a mile northwest of Club Lāna‘i. Fire crews arrived at 4:19 p.m. and found the motor yacht stuck on the reef about 300 yards from shore. 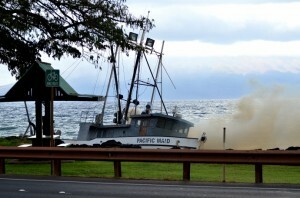 Fire Service Chief Edward Taomoto said a 45-foot response boat from the Coast Guard Station Maui arrived on scene but could not get close enough to the grounded vessel because of shallow waters. Firefighters swam out to the vessel and swam a couple in their 70s back to shore. The fire department’s Air-1 helicopter airlifted two women and the male owner off of the yacht, and delivered them safely to crews on shore at 5:30 p.m.
Lāna‘i firefighters transported the five individuals to the Manele small boat harbor where the yacht owner’s friend arrived from Maui in a private boat and gave them a lift back to Lahaina. 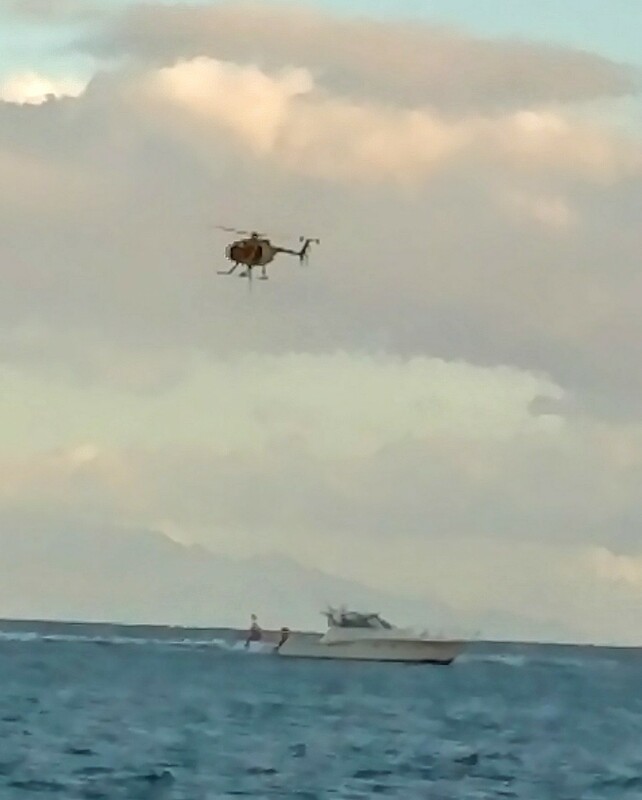 Officials say the owner of the yacht, an 80-year-old man from Kā‘anapali, had been cruising Lāna‘i’s eastern shore along with his wife, a daughter in her 50s, and a couple visiting Maui in their 70s, when they somehow ended up on the reef. The yacht’s hull did not appear to be damaged and no fuel or oil were observed leaking when crews left the scene Saturday. 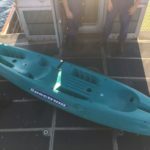 The owner will coordinate with the Department of Land and Natural Resources on the removal of the vessel from the reef. The vessel is homeported in Lahaina.